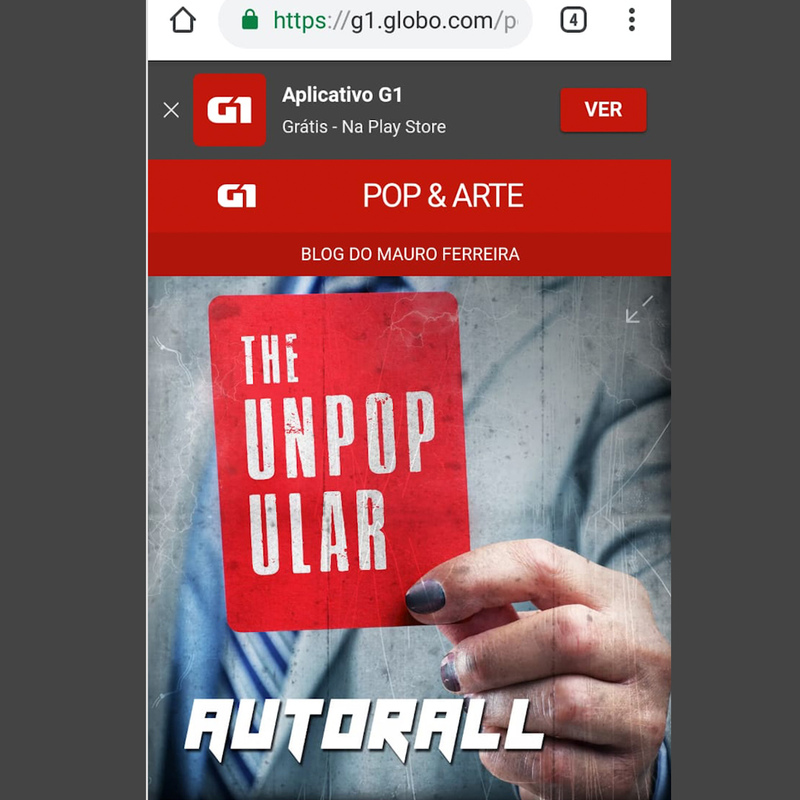 On January 8 I had the great pleasure of opening the pages of the G1 website (Globo web portal) and see the article written by the renowned music journalist Mauro Ferreira about the release of Autorall’s 2nd EP, “The Unpopular”. In the article Mauro approaches a bit of my history and the tracks of the EP. Check out the whole article clicking here! In 2009, musician and composer Paul Rocha created Autorall, a project based on the mix of the synthesized sounds of electronic music with the organic rock beat. After ten years, Prox – an artistic name adopted by Paulo – launches in the second fortnight of January the second EP of Autorall, The Unpopular, by the label Digirock. With five songs in the repertoire of four unpublished compositions by Prox and the re-recording of Chinese arithmetic (Bill Gould, Chuck Mosley, James Blanco Martin, Michael Andrew Bordin and Roddy Christopher Bottum, 1987), theme song from the band Faith No More , the EP The unpopular has the participation of the Spanish rap group Bando54 in two tracks. Madrid rappers are featured in El presidente and Yoda (composition formatted with sample collages for recordings of songs from different genres such as heavy metal and funk from Rio). The songs Guts and gears – clip target filmed under the direction of Prox himself – and Lust of the mind complete the repertoire of the second EP of Autorall.